Value investing has had a bad run, one of its worst in market history. Is that finally about to change? There are signs that a patient, long-term investing style based on finding cheap securities is finally starting to make a comeback. In the latest Money Makers podcast, Joe Bauernfreund, manager of the British Empire Trust, an investment trust closely associated with a value approach, explains why he thinks the recent revival has legs – and where he is currently finding the best bargains for his global equity portfolio. This podcast is the latest in a series of free regular interviews with prominent figures in the investment world, brought to you by Money Makers. You can sign up here to be notified about the next podcasts in the series, which are free to air – or subscribe on iTunes and other podcast services. Jonathan Davis, the founder of Money Makers, is also the founder of Independent Investor, a sister publishing and newsletter business. An active professional investor, and regular contributor to the Spectator and Financial Times, he is a Senior Adviser at Saunderson House, a Member of the Chartered Institute for Securities and Investments and the author of several books about professional investors. His early career was spent as business and financial journalist on national newspapers, including The Times, Independent and Economist. More details at www.independent-investor.com. 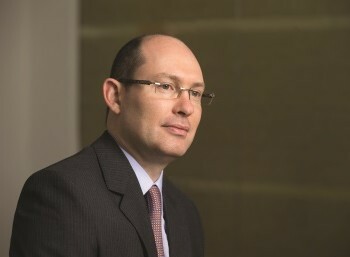 Joe Bauernfreund has been sole portfolio manager of the British Empire Trust since 2015, having first joined Asset Value Investors, which has managed the trust since 1985, in 2002. He has a master’s degree in Finance from London Business School.